Marshall Berman is a Professor of Political Science at CUNY, teaching Political Philosophy and Urbanism and is on the editorial board of Dissent and is a regular contributor to The Nation, TheNew York TimesBook Review, Bennington Review, New Left Review, New Politics and the Village Voice Literary Supplement. Berman's main works are The Politics of Authenticity, All That is Solid Melts in Air, One Hundred Years of Spectacle and Adventures in Marxism. In Adventures in Marxism Berman tells of how while a student at Columbia University in 1959, the chance discovery of the 1844 Manuscripts proved a revelation and inspiration, and became the foundation for all his future work. BermanCocmpleted his Ph.D. at Harvard in 1968. 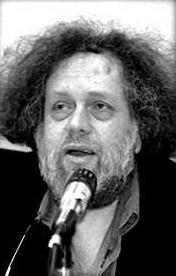 At the 2000 eighteenth annual Socialist Scholars Conference in New York, Monthly Review sponsored a well attended panel on culture and contemporary capitalism with Marshall Berman and Robert McChesney. Marshall Berman signed an April 2003 Statement on Cuba, initiated and circulated by prominent Democratic Socialists of America (DSA) member Leo Casey, calling for the lifting of trade sanctions against Cuba. This page was last modified on 11 July 2015, at 00:46.